Don't be fooled by the term "Free delivery". A furniture store has two options: recover delivery costs by inflating the price of every piece of merchandise OR charge a fair and reasonable delivery fee for just those customers who require delivery. 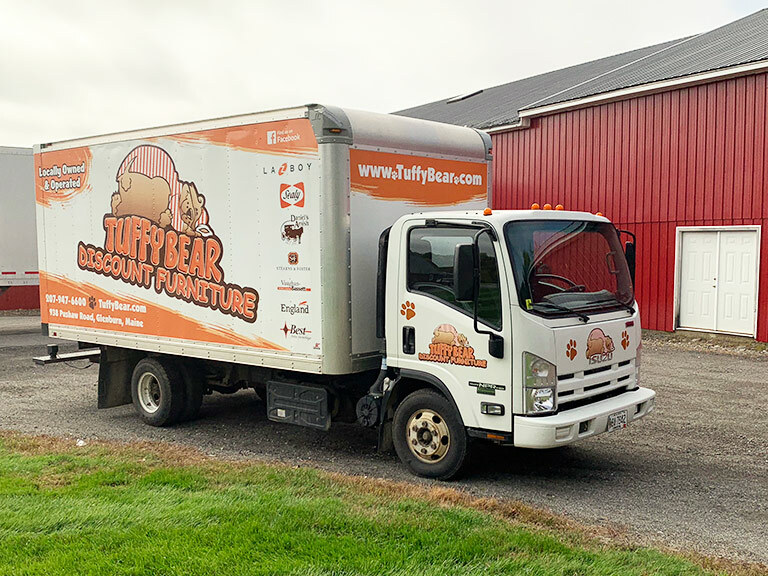 Because the majority of our customers pickup their furniture, we choose to give our customers the best possible price on their furniture and keep the delivery fee separate. Delivery is available for your furniture if you live within our designated delivery areas. Our normal delivery days are Tuesday through Friday, and specific days have been assigned for most towns in our designated delivery areas.